Product description: the Moral Philosophy of Gandhi is written by Jaladhar pal and published by Gyan publishing house. 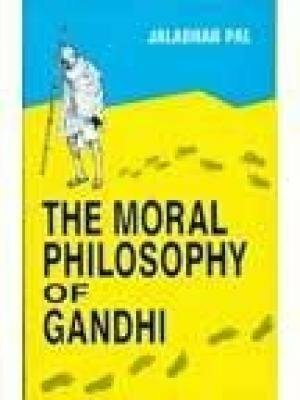 Buy the Moral Philosophy of Gandhi by Jaladhar pal from markmybook.com. An online bokstore for all kind of fiction, non fiction books and novels of English, Hindi & other Indian Languages. Thousands of books have been published on many aspects of Gandhi. But scant justice has been done to Gandhi, by the moral scientist till today. This objective study presents the Gandhian moral concepts in a systematic, coherent and scientific way with relevant reference to Oriental and Occidental moral philosophy. Gandhi's moral ideas were relevant yesterday, are also relevant today, and these will be relevant tomorrow too because without moral values human race cannot survive.